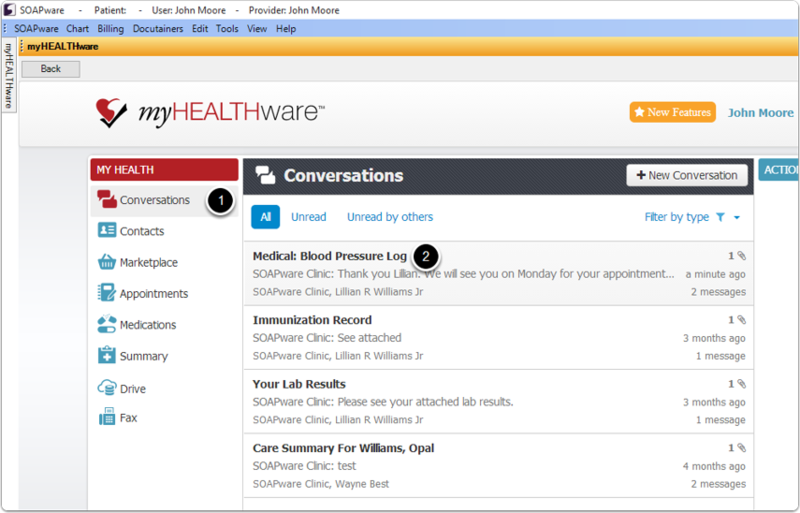 To download a myHEALTHware conversation to a patient chart, you must first open myHEALTHware inside of SOAPware. Log in to SOAPware, then click Tools > myHEALTHware > Open. Click on the conversation that you wish to download into a patient chart. Click the Download Conversation button. 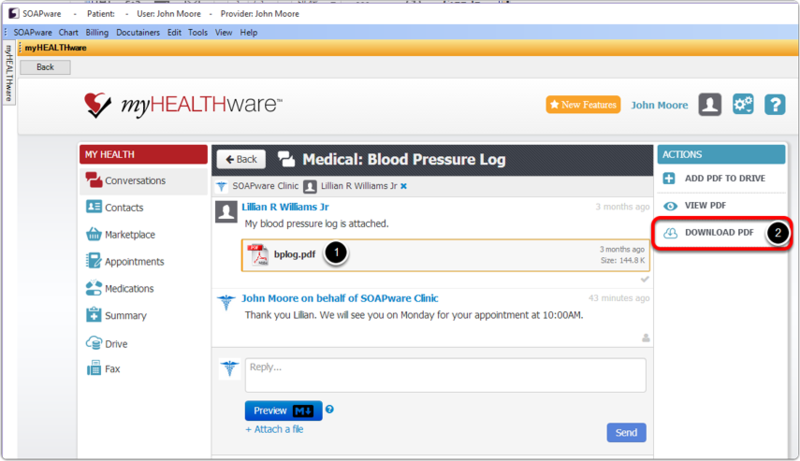 Select the Patient Chart button if you wish to add the myHEALTHware conversation directly to a patient chart. 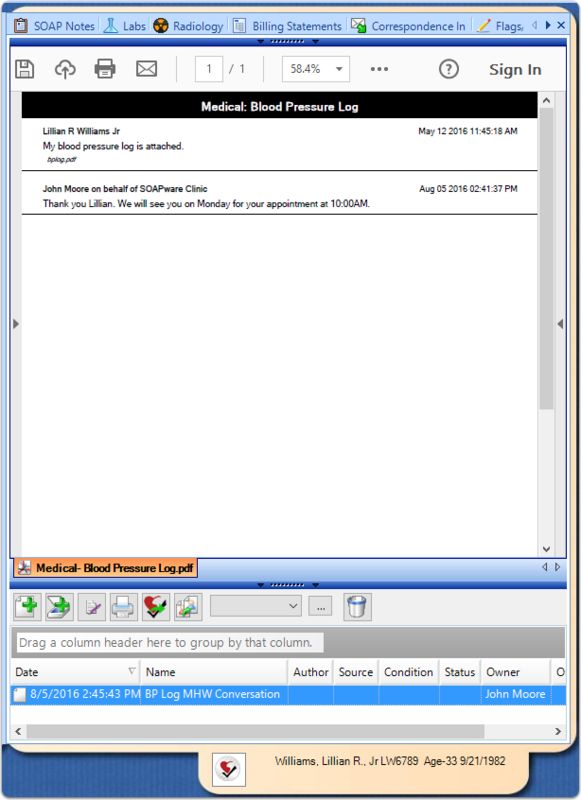 *Note: If you have a chart open, selecting Patient Chart will insert the myHEALTHware conversation into the current open chart. If you do not have a chart open, you will be presented with the dialog in the next step. 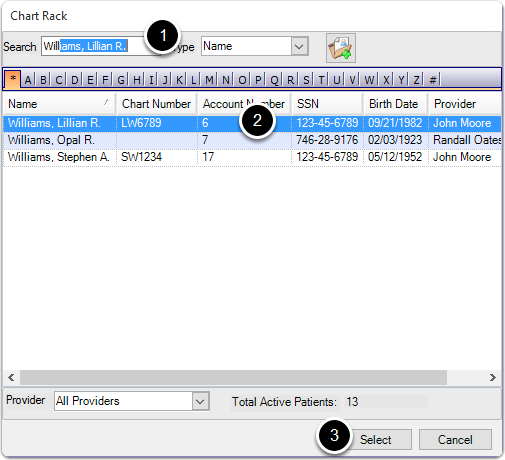 If you do not have a chart open, you will be asked to select the patient chart from the Chart Rack. *Note: If you have a chart open in the background, this dialog will not display and the document will be inserted in to the current open chart. 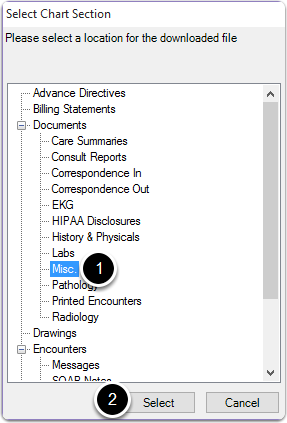 Select the chart section where you want to save the myHEALTHware conversation, then click Select. 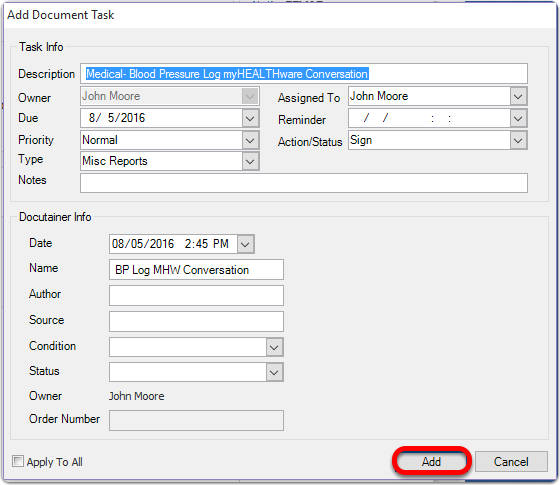 *Note: If you wish to create a new custom chart section for myHEALTHware Conversations, follow the instructions here: Creating a New Chart Section. A task item will be created for the myHEALTHware conversation that was added to the chart. Edit the task information as desired, then click Add. 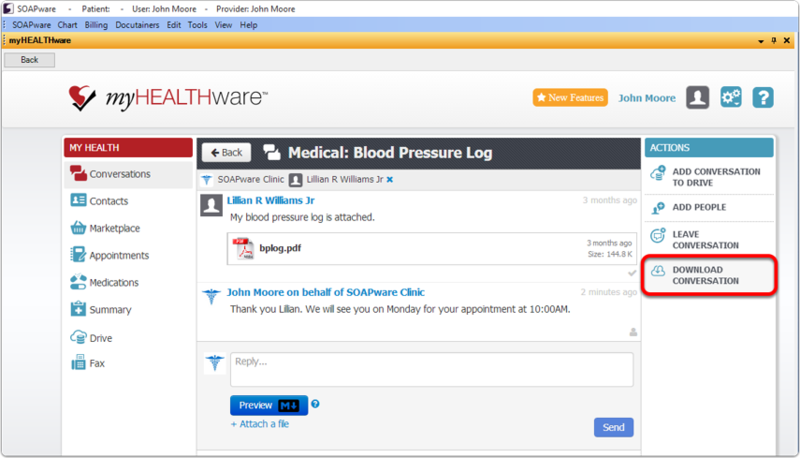 The myHEALTHware conversation will be imported into the patients chart, as shown in the above example. You can also download attachments that are part of your conversations and import them directly into the patients chart. Follow the steps above to open myHEALTHware in SOAPware and open the Conversation that includes the attachment. Follow the steps as outlined above to insert the attachment into a patient chart in SOAPware.